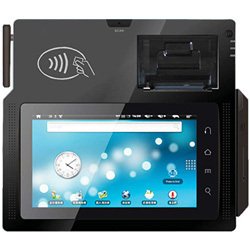 Lynx L9500 is an all-in-one tablet payment terminal, integrated with all functions of traditional handheld POS and tablet PC. 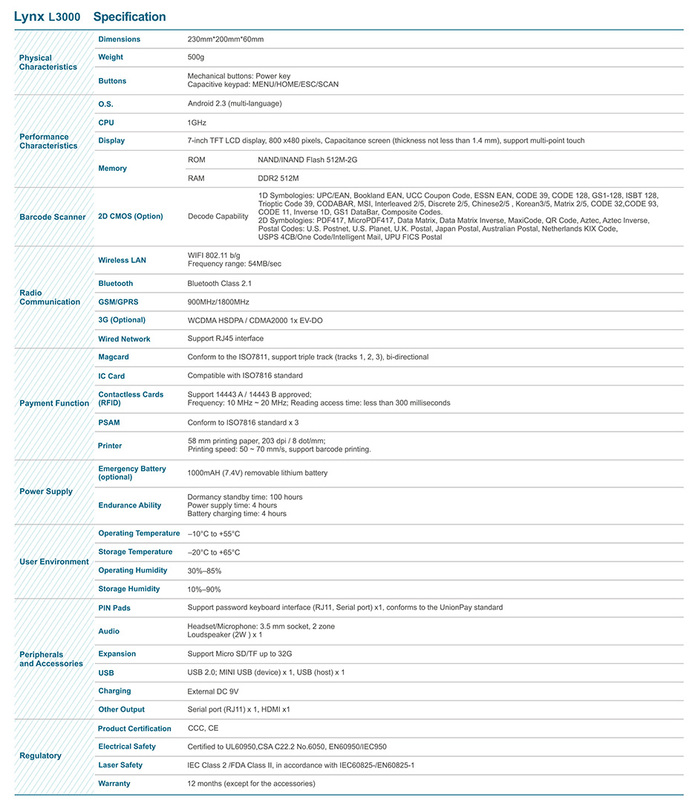 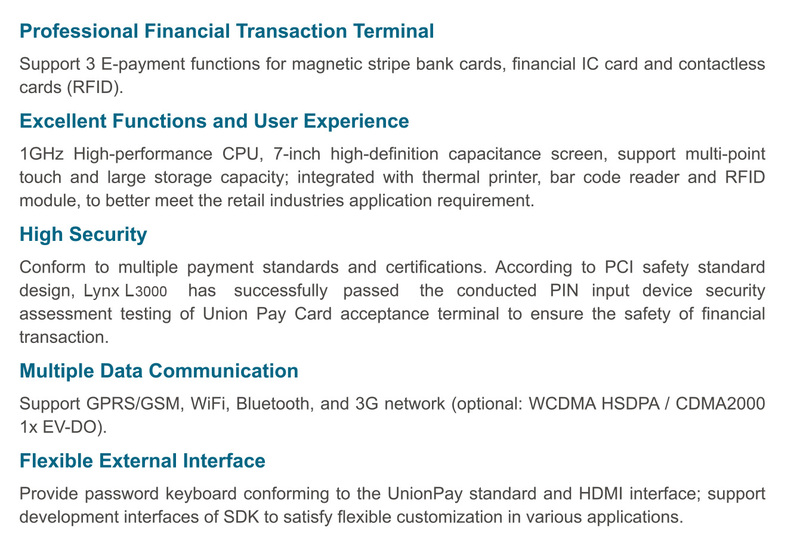 Based on Android platform, Lynx L9500 is specially designed for electronic payment application of retail and business field. 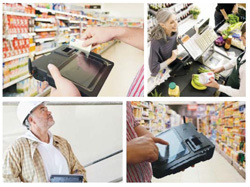 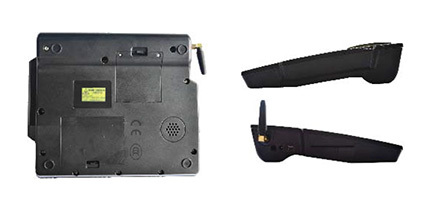 It supports bar code scanning, RFID reading and wireless communication to achieve more efficient, convenient, secure terminal solutions in a variety of industries; it also supports E-Payment function of multiple magnetic cards, IC card and inductive cards, to confirm the real-time and safety financial services of such pay application.